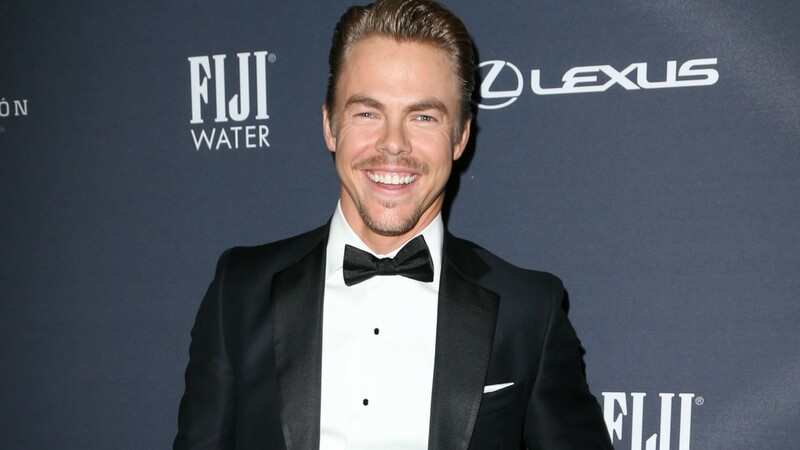 Miss seeing Derek Hough dance? Your wait is finally almost over. The veteran Dancing with the Stars pro is absent from the competition for the mirror ball this season, but that doesn’t mean he’s hung up his dancing shoes. Hough’s new gig will let him show off all his best moves: He’s been cast to play Corny Collins in NBC’s upcoming Hairspray: Live! Hough’s role was part of the latest casting announcement for the TV event, which also revealed that Martin Short will play a role on the show. The show previously announced the roles for Jennifer Hudson and Harvey Fierstein. Hudson, who has a long and impressive résumé of stage roles, will play local record-store owner Motormouth Maybelle. She’s also currently appearing on Broadway in The Color Purple. Fierstein, who will reprise his role as Edna Turnblad, won a Tony award for playing the part on Broadway. This is far from Hough’s first time dancing in a stage production, and his casting comes after his younger sister, Julianne Hough, starred in NBC’s Grease: Live! earlier this year. Hairspray: Live! is set to air on Dec 7.